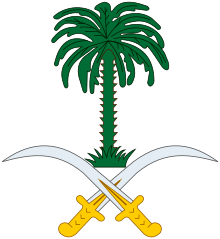 Saudi Arabia, officially known as the Kingdom of Saudi Arabia, is the largest Arab state in Western Eurasia by land area (approximately 2,150,000 km2 [830,000 sq mi]), constituting the bulk of the Arabian Peninsula, and the second-largest geographically in the Arab world. We have to all realise that criticising some phenomena in our home country does not equate to hating it, wishing evil upon it nor is it an attempt to shake its balance, it's the total opposite. Any Saudi citizen might be upset by some incidents that occur in the Kingdom, but that is only a direct sign of one's interest in the betterment of one's own country and one's hope to see Saudi Arabia as a global leader. One of the most devout and insular countries in the Middle East, Saudi Arabia has emerged from being an underdeveloped desert kingdom to become one of the wealthiest nations in the region thanks to vast oil resources. But its rulers face the delicate task of responding to pressure for reform while combating a growing problem of extremist violence. Shelley Berkley, U.S. Representative, as quoted in "US House votes to ban Saudi aid" (22 June 2007), Al-Jazeera. Saudi Arabia has become a firm friend of the United States. As its influence dramatically expands in the world, Saudi Arabia has been not only a firm supporter of the peace process but a moderating and conciliatory force on a wide range of global issues. Jimmy Carter, Letter to Members of Congress on Middle East Arms Sales (12 May 1978). And, once and for all, the Saudis, the Qataris, and others need to stop their citizens from directly funding extremist organizations, as well as schools and mosques around the world that have set too many young people on a path toward radicalization. When it comes to blocking terrorist recruitment, we have to identify the hotspots—the specific neighborhoods and villages, the prisons and schools—where recruitment happens in clusters. I think that the Saudis have a multiple level of responsibilities, first and foremost, stopping their own citizens from continuing the financing for extremists. And, you know, Saudi financing is still a major source of revenue for terrorist groups inside Syria, inside Iraq elsewhere. I know that the — that Saudi individuals have certainly funded other related terrorist groups over time and also exported a lot of Wahhabi radicalism by kicking out or sending out imams and teachers to set up schools and mosques to preach that particularly harsh brand of Islam. So the Saudis have a lot that they can do to both stop and then to help. It is long past time for the Saudis, the Qataris and the Kuwaitis and others to stop their citizens from funding extremist organizations. And they should stop supporting radical schools and mosques around the world that have set too many young people on a path towards extremism. Well it's a gloomy, rainy old day to be here in London, but it could be worse; I could be in Saudi Arabia where men are men, and women are cattle. Can I say that? Pat Condell, "More demands from Islam" (9 October 2007), YouTube. One guy said, "I'm from Saudi Arabia and I'm proud of my country." Well, good for you, but forgive me for asking why. If you live in Saudi Arabia, what on Earth have you got to be proud of? If you couldn't dig money straight out of the ground, you'd all be starving. The only thing your country has to offer the world is oil. Well, it's not the only thing, but we don't need any sand, and we're all up to here with Jihad, thanks very much. Pat Condell, "Hello Saudi Arabia" (2 May 2012), YouTube. [Saudi Arabia] is the Keeper of the Two Holy Cities, giving her an Islamic orientation of responsibility; she is the counsellor of the Arab world, due to her religious standing, her wealth, and her domestic stability and cohesion. No one should be fooled into believing that Saudi Arabia is striving towards a more open and pluralistic form of government. ... The very opposite is true, what we are witnessing is a regime that is tightening its grip on the social fabric of society, choking all forms of open debate, suffocating civil society, silencing the voice of reform and imprisoning those who are striving towards modernity. Ben Emmerson, as quoted in Saudi Arabia using anti-terror laws to detain and torture political dissidents, UN says (8 June 2018), The Independent. Saudi Arabia's addiction to the blood cult of public execution demeans and humiliates not only the victims, but all those who participate in the process and Saudi society as a whole. In the heartlands of Islam, from Saudi mansions to ISIS dungeons, there are still slaves, laboring, beaten, bought, sold, raped and disposed of in Mohammed's name. From Saudi Arabia, Wahhabi mosques are financed throughout the world. We must make it clear to the Saudis that the time of looking the other way is over. We will prevent Saudi help in the building or financing of mosques in Germany where Wahhabi ideas are to be disseminated. Can a state be both the target of Islamist extremists and responsible for their actions? The attacks on July 4 in three Saudi Arabian cities, almost certainly perpetrated by adherents of Islamic State, have once again raised this question for drive-by analysts. They point out that the official interpretation of Islam in Saudi Arabia, which outsiders refer to as Wahhabism and Saudis refer to as Salafism, shares many elements with extremist ideology. Then they argue that Saudi efforts to proselytize Salafism played a role in the development of the global jihadist movement, and that the Saudis thus bear a special responsibility to rein in their support for Muslim institutions outside their borders and to moderate their practice of Islam at home. The implication is that if the Saudis would only change their behavior, the threat represented by the radicals would be greatly reduced. With the oil revolution of the 1970s, the Saudis had enormous resources to support that effort. In the 1980s, the Saudis (along with the United States) supported a campaign in Afghanistan against the Soviet Union that both they and Washington were happy to call a jihad. At that point, the Saudis lost control of global Salafism, if they ever really had it. What had been a largely apolitical phenomenon of Muslims emulating Saudi Wahhabism in their personal lives became, for part of the global Salafi movement, an element of their political identity. Global Salafism is now unmoored from its Saudi origins. The Saudis can also contribute to the ideological fight against Salafi jihadism, but not in the way most Western liberals think. The admonition for “tolerance” has much to recommend it as Saudi leaders think long term, but the more immediate task is to convince those attracted to Salafism that the violent path is, as the Saudi clerics say, “deviant.” Liberal “reforms” in Saudi Arabia are not going to convince pious Salafis that their interpretation of Islam is incorrect. Rather, the Saudis have to redouble their efforts to use the domestic and international institutions of Islam that they created and funded to convince believers that Salafi Islam itself prohibits the acts of violence perpetrated in its name. In Saudi Arabia, women can’t vote, run for public office, or drive cars. Women are routinely jailed and beaten for merely being in the presence of a man not related to them. The Saudi version of Dr. Phil provides televised lessons to men on how to properly beat their wives. Abul A'la Maududi, quoted in Asaf Hussain, Islamic movements in Egypt, Pakistan, and Iran (Mansell Pub., 1983), p. 72. NRI Press, "NRI beheaded in Saudi Arabia for murder" (25 July 2005), NRIinternet. The Saudis have never shown any respect for human rights, either now or in the past. Even a petty burglar faces having one of his hands chopped off. The liberal press in America prefers to ignore all this, although they don't hesitate to blacken the reputation of Iran. Muhammad Reza Pahlavi, as quoted in Alam, Asadollah, The Shah and I (1991), I. B. Tauris, p. 535. The women of Saudi Arabia are not just folded away behind swathes of hot black cloth — they live segregated lives. They respect the value of my worth in Maui, Malaysia, Iran, and Iraq, Saudi Arabia! Trevor T. Smith, "Arab Money"
The kingdom has oil - and lots of it. But that's only part of the story. Saudia Arabia is important to the West not despite of its brutality but because of it, for the Saudi dictatorship's seen as a buttress against "instability" in a strategic region. Riyadh's deeply conservative leaders did everything they could to derail the Arab spring, suppressing an upsurge of democratic sentiment that threatened the regimes with whom the West had always done business. ... We're all familiar with the outrage that politicians display about certain human rights violations in the Middle East - generally, those committed by regimes or organisations we're about to bomb. But the more usual attitude is a realpolitik in which the West either supports or quietly ignores the barbarities of favoured states. ... The same kind of logic holds in respect of Saudi Arabia. The regime might inflict punishments every bit as obscene as those enforced by the Islamic State. But it's a reliable ally, prepared to enforce the status quo in an oil rich region - and that matters more to the West than the life of a democracy protester. If Saudi Arabia was without the cloak of American protection, I don’t think it would be around. I love the Saudis. Many are in this building. They make a billion dollars a day. Whenever they have problems, we send over the ships. We say “we’re gonna protect.” What are we doing? They’ve got nothing but money... Saudi Arabia without us is gone. They're gone... Saudi Arabia is in big, big trouble. Now, thanks to fracking and other things, the oil is all over the place. And I used to say it, there are ships at sea, and this was during the worst crisis, that were loaded up with oil, and the cartel kept the price up, because, again, they were smarter than our leaders. They were smarter than our leaders. I get along great with all of them [Saudi Arabians]... They buy apartments from me. They spend $40 million, $50 million. Am I supposed to dislike them? I like them very much! This page was last edited on 1 November 2018, at 23:46.